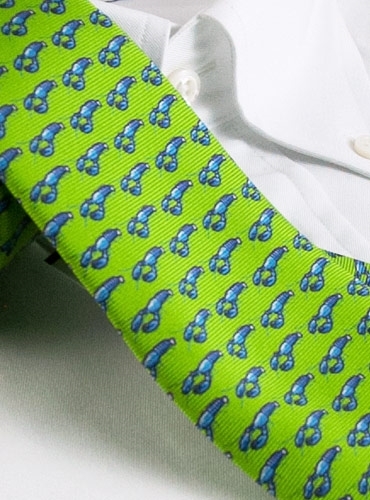 Our whimsical and colorful lobster motif neckties. 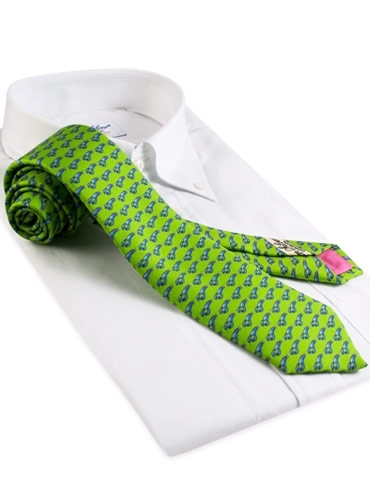 Printed on the finest English silk, and cut and hand sewn in our English workroom, these neckties will brighten every spring and summer outfit. Availble in four ground colors: A-marine; B-chili; C-lime; D-marigold.